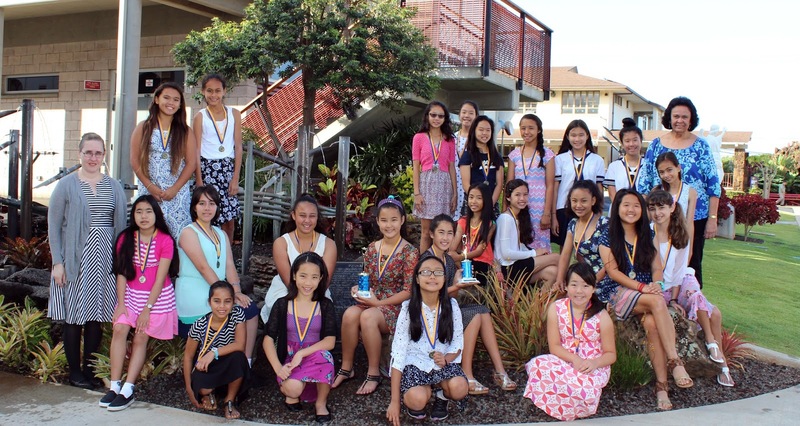 Congratulations to the Academy Lower School Speech Club who won Highest Number of Superiors and Best Percentage of Superiors at the Punahou School​ Speech Festival held on April 25th. With the help of one talented seventh grader, twenty-two 5th-6th graders matched talents with teams that had mostly 7th-8th graders from nine other schools that included Punahou, Maryknoll, Iolani, and Kamehameha. Academy teacher and Speech Club mentor, Susan Phillips shares, "Thank you to the many teachers who allowed the girls to practice delivering their speeches in front of other classes; the opportunity really boosted the girls' confidence for competition." College Courses Are Coming to the Academy!